People often think that the moment they realize they found a single bed bug in their room, that they automatically have an “infestation” and have to treat the whole house. Well, with bed bugs that is not always the case. Like in real estate, one must think – location, location, location! To begin solving your bed bug issue, you first need to find out just how many bed bugs you have, how long you had them and where they are located. Not always, will a house or apartment have bed bugs in all rooms and in many cases a single bed bug may have made its way into your bedroom via hitchhiking on a personal belonging, jacket or purse which you laid on your bed. Come out; come out, where ever you are! Finding bed bugs in early stages can present quite a challenge. Their cryptic and reclusive nature and ability to hide in places and spaces that are not always visual to humans can cause overlooking a budding future problem. Even a thoroughly trained bed bug control professional who detects bed bugs for a living, still must find actual live bed bugs and/or eggs to unquestionably, identify the pest in question. If visual evidence is found, this will compel them to search further to find the live bed bugs. This laborious project may take hours of searching which most do not have the time. If no visual signs are present, the pest control technician may leave and tell you to call him if you find any further signs. Meanwhile, the bugs may have laid eggs and continue to reproduce. This leaves people with a horrible unsure feeling, which may cause extreme anxiety or paranoia. Throughout history, dogs have played an important role in our daily life because of their outstanding scenting abilities. Bed bug detection K9s have evolved with great recognition, and can sweep through in record speed compared to human detection. 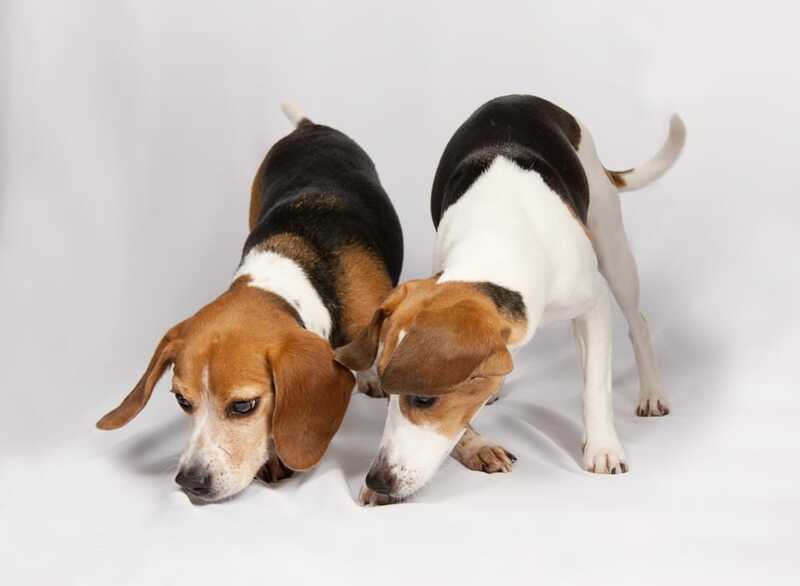 Aside from their agility and speed, a canine’s olfactory acuity is far superior to a human. Olfactory acuity is the ability to identify and discriminate different odors. The human nose has approximately five-million olfactory cells, and the dog’s nose has approximately 220 million. It is estimated that one/eighth of the dog’s brain is committed to olfaction. The goal of the bed bug detection canine is to minimize expenses and reduce the inconvenience of controlling and eliminating bed bugs. Because these dogs “targets” bed bug activity, it becomes easier to pinpoint areas where bed bugs may be hiding. This is critical information for lowering costs, which translates into less intrusion of your living and working spaces. In the end, if using chemicals, it helps to reduce the amount of pesticides applied during bed bug chemical treatments. If the dog does not find active signs of bed bugs, you can know with greater certainty that you are restricted from having bed bugs for the time being. (Remember, bed bugs can show up at any time on the shoes, backpack or clothing of the next person who enters your home or facility). Do not second-guess or wait to find out “if” bed bugs are lurking in your home. Find out as soon as possible. Call us at the first assumption and lets us help you have peace of mind. An ounce of prevention is a pound of cure. • Peace of Mind – Research supports that if the dog finds bed bugs, there is a high statistical probability you should investigate further. If the dog does not find bed bugs, you can know with greater certainty that your home, office or school is free from bed bugs.